Pledge Confirmed. 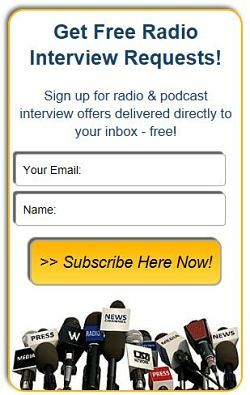 - Radio Guest List.com - How to Get Radio Interviews and Find Podcast Guests! Your donation to RadioGuestList.com is confirmed. We very much appreciate your support of our service. Your contribution will help us keep delivering great radio and podcast publicity opportunities for you. Thanks again for your generosity in supporting RadioGuestList.com!